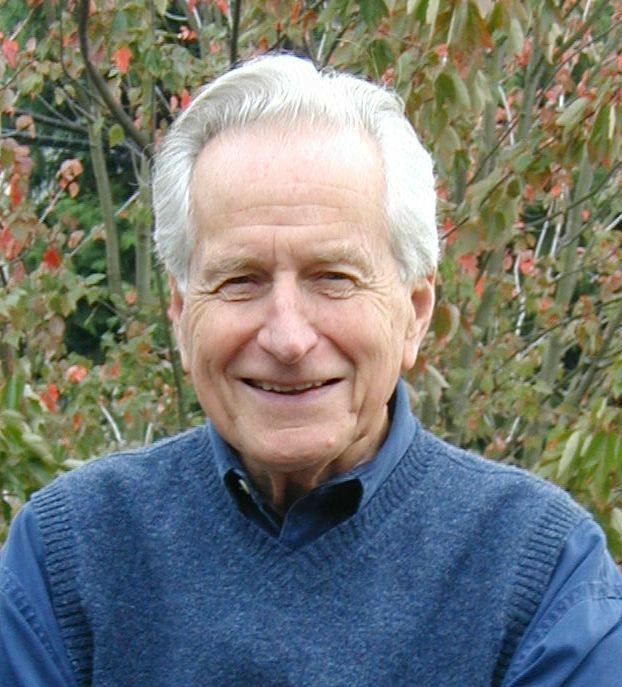 John Goodlad, influential educational researcher and teacher whose work over the last 60 years has had a major impact on schools and the education of educators, died on Nov. 29 at his home in Seattle. The late UW College of Education professor was 94. "John Goodlad's passion for improving schools contributed immensely to our collective commitment at this College of Education to put research into practice to help fulfill the promise of public education," said Deborah McCutchen, dean of UW's College of Education. "Amid the current emphasis on test scores and accountability, his work also reminds us that an important goal of public education — to nurture our democracy — may be difficult to measure with traditional metrics." “John Goodlad offered an alternative vision of what schooling should be,” said David Imig, “and inspired generations of teachers, principals, academics, politicians, and policy makers to find ways to make good on that vision.” Imig, for 30 years head of the American Association of Colleges for Teacher Education and a long-time-colleague, said that Goodlad “was passionate in his beliefs about the role of schools in a free democratic society.” But coupled with that passion was consideration for his readers and for those he worked with in person. “Goodlad could fill an auditorium with overflow crowds and challenge them to do better for all students. He had the perseverance to shake every congratulatory hand and to engage in conversation with an extraordinary range of adherents, critics, admirers and detractors, all with civility and respect,” said Imig. Goodlad was born in Canada and educated in that country to the level of the master’s degree. He completed his doctorate at the University of Chicago and held 20 honorary doctorates from colleges and universities in the United States and Canada. He taught at all grade levels and in a variety of institutions, including a one-room, eight-grade rural school in Canada. Following professorships and administrative positions at Agnes Scott and Emory University in Georgia, and the University of Chicago, Goodlad was appointed professor at the University of California at Los Angeles, where he served as dean of the Graduate School of Education for 16 years. William Gerberding, former executive vice chancellor at UCLA, and former president of the University of Washington, recalled the impact Dr. Goodlad had at both institutions. With Goodlad’s arrival at UCLA, Gerberding said, one could feel “the excitement attached to the arrival of this already well known, even glamorous, young star as dean. I was lucky enough to know and admire him as a colleague.” Under Goodlad’s direction, the UCLA Graduate School of Education became one of the top-ranked schools in the nation. In 1984, five years after Gerberding became president of UW, Goodlad also came north. Gerberding recalls that Goodlad “decided to accept an offer from the UW to teach and do research. He had been for many years one of the big names in his field; he added luster to our College of Education and University.” At the UW, Dr. Goodlad created the Center for Educational Renewal to conduct research on teacher education and school renewal. He also created the independent Seattle-based Institute for Educational Inquiry in 1992 to apply research findings to school practice and to conduct educational leadership training programs. Pat Wasley, former dean of the UW College of Education, worked with Goodlad as a doctoral student at the College and said he was one of the most influential people in her professional life. "He was a fantastic professor, so exciting and knowledgeable about the history of American education and so committed to education as a social equalizer," said Wasley, now CEO of the Teaching Channel. "As a mentor he was exacting and full of good humor at the same time. He was an adventuresome thinker, unbounded by traditional roles." Goodlad's notion of a “hybrid educator,” someone who worked in the academy and in public schools at the same time, captivated her and led to the creation of the John Goodlad Endowed Fellowship for Teacher Education by Wasley and her husband Rick Lear. "I am grateful that I had the chance to learn from him and always hope that he can see his influence in the work I am doing today," Wasley said. "He was a giant in American education." Goodlad authored, co-authored or edited more than three dozen books. He wrote chapters in more than 100 other books, and published more than 200 articles in professional journals and encyclopedias. His work attracted international interest; some of his books have been translated into such languages as Japanese, Chinese, French, Italian, Spanish and Hebrew. Goodlad was perhaps best known for his four-year study of schools, considered by many observers to be “the most extensive on-site examination of U.S. schools ever undertaken.” The study resulted in his 1984 publication, A Place Called School, which received the Outstanding Book of the Year Award from the American Educational Research Association and Distinguished Book of the Year Award from Kappa Delta Pi. He and his colleagues subsequently conducted a major five-year study of teacher education, resulting in five books, including Goodlad’s summary volume, Teachers for Our Nation’s Schools, which won the Outstanding Writing Award from the AACTE in 1990. Albert Shanker, president of the American Federation of Teachers, called Goodlad’s book “teacher education’s Flexner Report,” in reference to Abraham Flexner’s 1910 ground-breaking report on medical schools. In 1986, Goodlad subsequently created a national network of schools and universities focusing on the simultaneous improvement of schools and teacher education. The network today includes some 27 colleges and universities and 160 school districts. In addition to academic administration, Goodlad held many leadership roles. He was president of the AACTE, president of the American Educational Research Association, and charter member of the National Academy of Education. Goodlad’s research and scholarship was recognized in 1993 with the AERA Award for Distinguished Contributions to Educational Research. In 1999, he was a recipient of Conant Award for Outstanding Service to Education from the Education Commission of the States; in 2002, he received the first Brock International Prize in Education; in 2003, he received the New York Academy of Public Education Medal. In 2004, he received the American Education Award from the American Association of School Administrators; and in 2005, he received the Association of Teacher Educators Distinguished Educator Award. In 2009, he received the Outstanding Friend of Public Education from the Horace Mann League and the Outstanding Achievement Award from the John Dewey Society. Dr. Goodlad is survived by a daughter, Paula; a son, Stephen, and five grandsons. Memorial contributions may be made to the John Goodlad Endowed Fellowship, which provides scholarships to students at the UW College of Education.